Happy Friday! Today is fancy fold Friday! I got the idea for this dutch fold from Dawn Griffith. She has a great video that shows you who it goes together here. I did make a few changes to the dimensions so my card ended up measuring 4-1/4" x 5-1/2" though. So I thought I would include those measurements here for you. 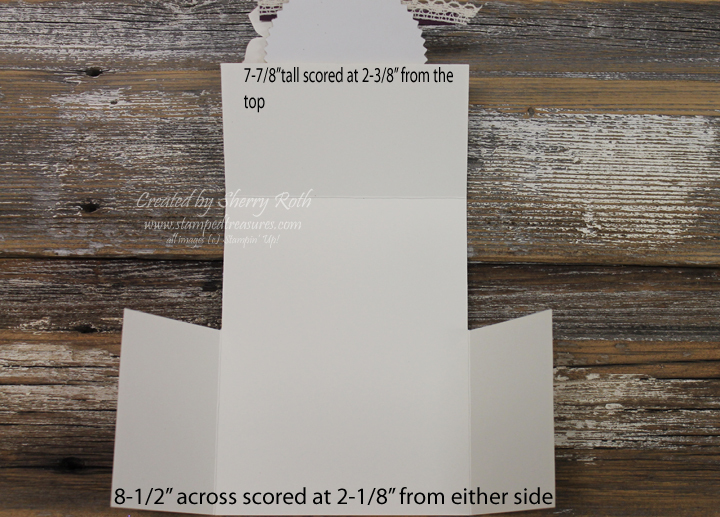 Your initial cardstock will measure 7-7/8"x 8-1/2". In the photo I forgot to include how high the side flaps are - they measure 3-1/8" from the bottom. Hopefully between these measurements and Dawn's video, you can figure it out:) If not just ask and I'll try to explain it a little better! Here's a closer look at the focal point. 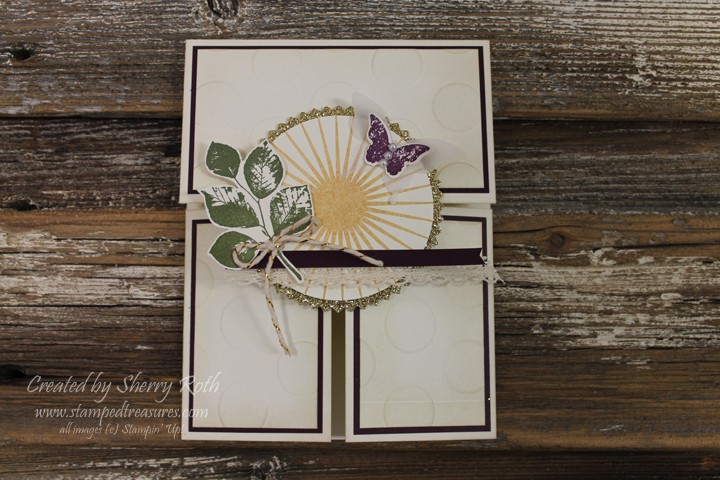 I am loving how this card turned out.